This recipe was created in partnership with Prosciutto di Parma, whose cured hams I dream about on a regular basis. It’s often the simplest things that end up blowing my mind in the kitchen. I remember when I was down in Brazil and first learned about this bacon-wrapped hearts of palm recipe in a local cooking class. It’s two ingredients–bacon and hearts of palm–roasted in the oven for twenty minutes. And somehow the end result was so much more than the sum of its parts. 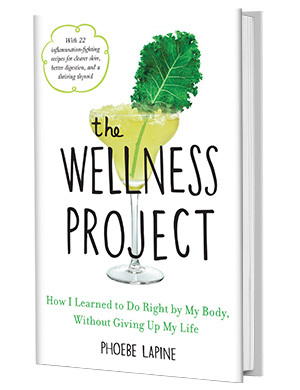 When I teach my own cooking classes, I always try to work in a variety of techniques and nutrition facts to make people feel like they’re getting their money’s worth. But again, it’s always the no-brainer, two ingredient dishes (like this lemon-tahini dressing) that end up sticking. So it should be no surprise that when I was yet again the guest at someone else’s cooking class—this time, at Culinary Works in the exotic aisle of Connecticut—that the dish that blew me away was another three ingredient appetizer. And it should also come as no surprise that it too involved veggies in a piggy blanket. 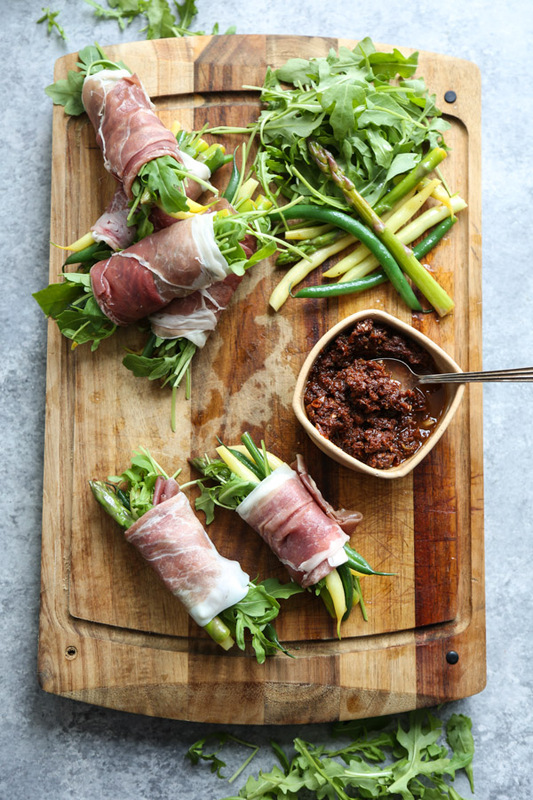 What struck me about these prosciutto wrapped asparagus and arugula bundles was that they were such an easy (and yet not obvious) paleo bite. Usually there’s very little at a holiday party that falls into the gluten or grain-free category aside from a crudités board. But these were little salads–punched up with a squeeze of lemon, packed into a modest pouch of prosciutto–turned into finger food. As anyone who followed my Italy travels over the summer (or has ever met me) knows, I am a big devotee of Prosciutto di Parma. It’s the real deal. And like most everything that comes out of Italy, no one does it better in the world. So when Prosciutto di Parma asked me to come on a little adventure at the Culinary Institute of America in Napa last spring, I said: Certo!! And when they knocked on my door yet again this fall to create a holiday appetizer, I said: Bravissimo!!! With the task at hand, I already knew what I’d make. 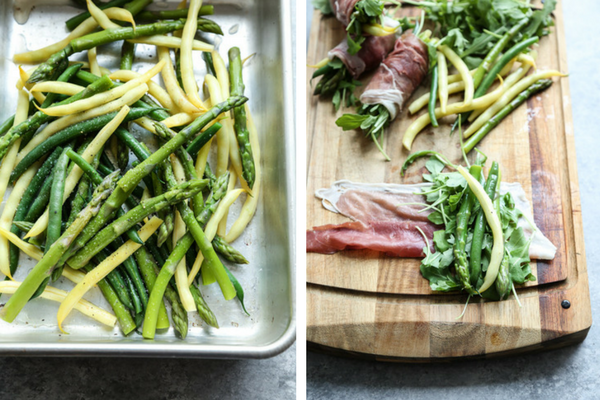 The prosciutto and asparagus bundles that had stuck in my memory ever since I made them last fall. 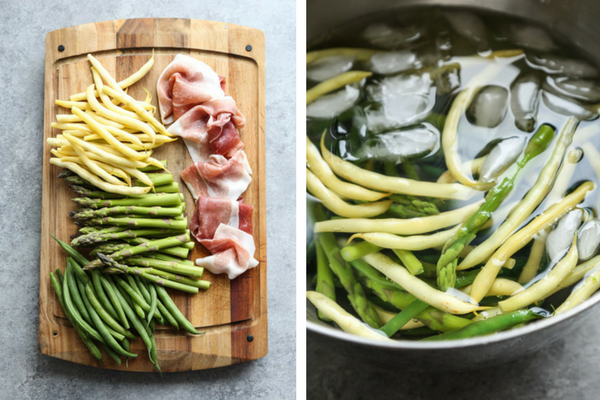 Only I had one improvement (in addition to adding green beans since they’re more seasonal). 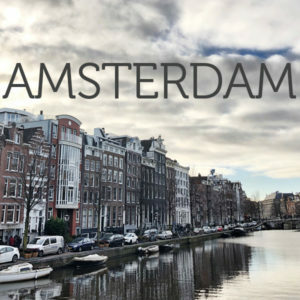 And that was the name. Friends, I bring you…TWIGS IN A BLANKET. I hope there are a few more minds blown now. 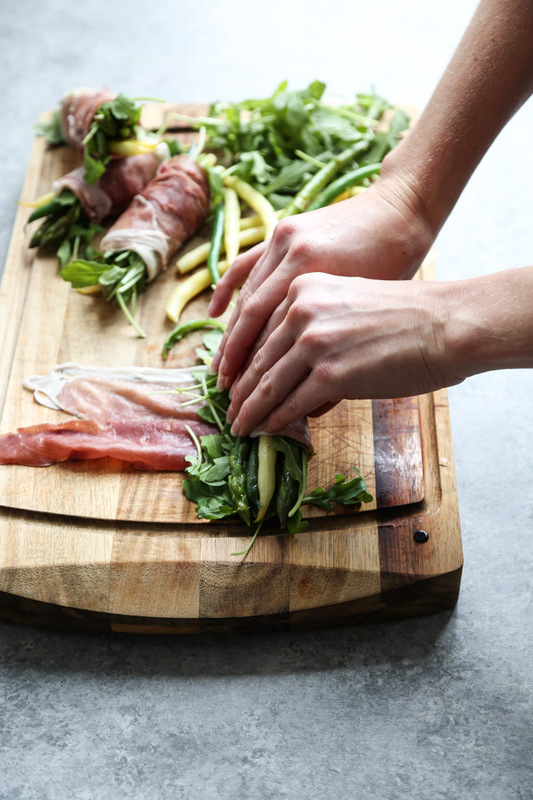 If you haven’t guessed, the recipe is incredibly simple: blanch the veggies, transfer to an ice bath, pat dry, toss with lemon juice, olive oil, salt and pepper, add arugula and then wrap in your piggy blanket of prosciutto. 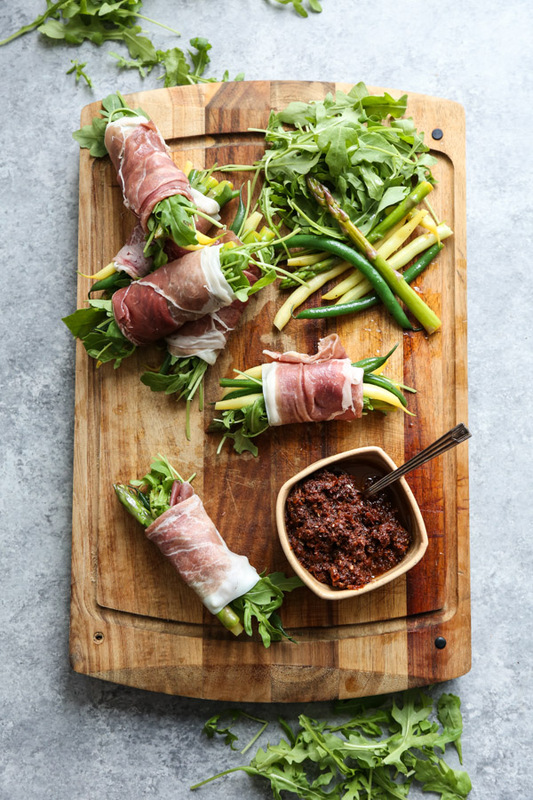 You can grab the official recipe on Prosciutto di Parma’s site, which includes a delicious sundried tomato pesto for dipping (don’t worry it’s only 3 more ingredients, folks!!). 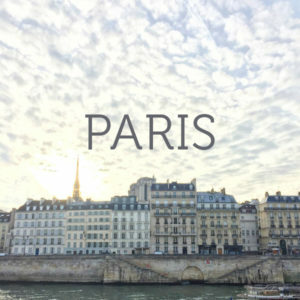 Scroll down for the video! Sprigs in Blankets from Prosciutto di Parma from Honest Cooking on Vimeo. 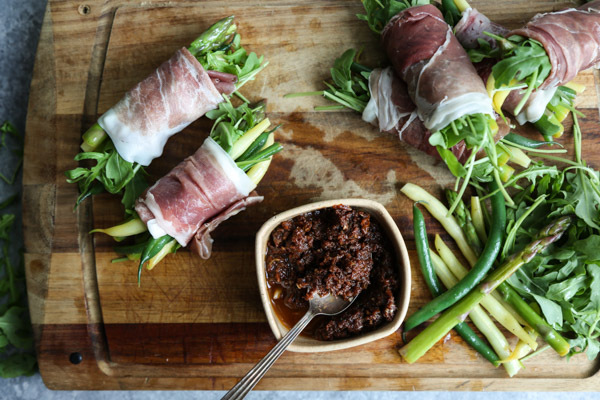 These 5-ingredient appetizers were created in partnership with Prosciutto di Parma, whose cured hams I dream about on a regular basis. You can find the full recipe on there site, here.